Kilduff Construction are proud members of the National Guild of Master Craftsmen. 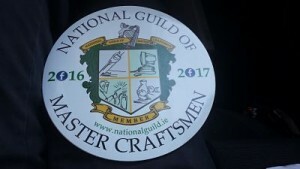 The National Guild of Master Craftsmen is the largest organisation representing skilled and accredited tradesmen and builders. Its aims are to protect the skills and integrity of its members and clearly define the skilled from the non-skilled thus enabling the general public to choose a National Guild of Master Craftsmen member to facilitate the service they require.